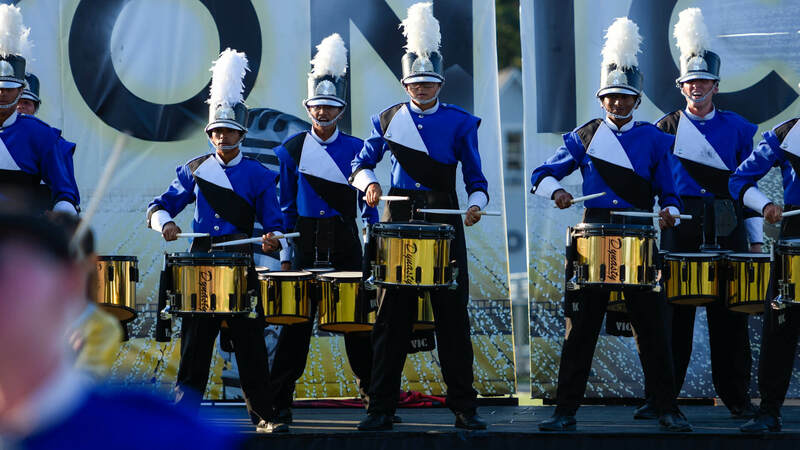 When the 2017 season opened up for the Vanguard Cadets — who presented a daring program called “In Pieces” — on June 23 in Clovis, California, a gap of nearly three points stood between themselves and the defending Open Class champions, Blue Devils B. Over the weeks that followed, the Santa Clara corps began to gradually chip away. 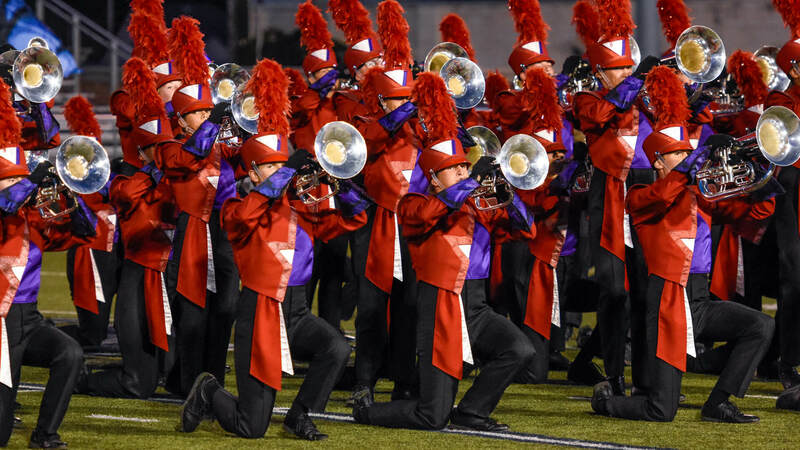 Tuesday night in Michigan City, Indiana, the Vanguard Cadets completed their season-long comeback at the Open Class World Championship Finals to notch their first Open Class title since 2015. Just as they did in Monday's Prelims competition at Ames Field, Vanguard Cadets (1st, 80.725) swept all captions in earning their fifth overall title and fourth since the inception of the Open Class division in 2008. In the Santa Clara Vanguard organization's 50th year, having Vanguard Cadets take home the gold with their World Class brethren fighting for the same honor in the days ahead is quite the golden anniversary gift. “It's just one of those years that we really dug deep and started communicating top to bottom, and it's really starting to pay off,” said executive director Charles Frost. “All the programs, both drum corps communicating together, the staff working together, it's just one big family and it's paying off. Despite not repeating as champions, Blue Devils B finished in the top two for the 10th-straight season with a silver-medal score of 79.625, while also earning second across the board in all captions. Celebrating their 10th trip to the Open Class World Championships and ninth in a row qualifying for the Finals competition, Legends (3rd, 77.250) continued a steady rise through the rankings over the past decade with their second-straight bronze medal. Earning their highest finish ever, Music City capped off a successful Open Class season in fourth place with a score of 76.763. Tuesday night's placement marked the first top-five standing for the Nashville corps, which scored as high as third in general effect. Spartans (5th, 75.925) made it eight consecutive seasons with a top-five finish Tuesday night, at the culmination of a season of change and growth within the oldest active Open Class corps. The New Hampshire corps earned third-place scores in color guard and percussion. Earning the honor of 2017's “Most Improved,” an award voted on by Open Class corps directors, the Louisiana Stars posted their highest placement ever with a score of 73.213, good for sixth. 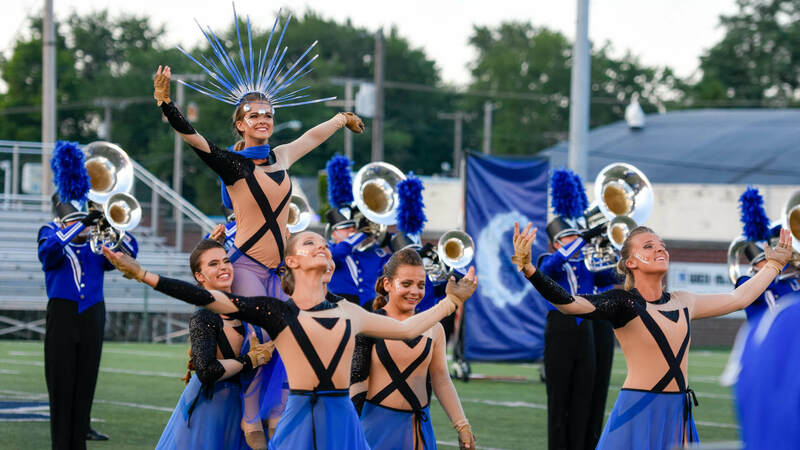 The corps finished ninth last season in its very first trip to Michigan City. Representing southern California at the Open Class Finals, Gold (7th, 72.750) improved by one placement from the last two seasons in which it finished eighth. Now, with hopeful eyes on a first-ever spot among the top-25 corps that advance to the DCI Semifinals in Indianapolis, the focus for Gold shifts to Lucas Oil Stadium and Thursday's World Championship Prelims. 7th Regiment kept a significant gap between itself and the rest of the pack for eighth place, earning a score of 72.000. The Connecticut corps posted strong visual scores, defeating Gold by a slim margin of 0.125 in the overall visual caption. In just their first trip to Michigan City after reforming as an Open Class corps in 2015, Southwind (9th, 70.125) earned a spot among 2017's top 10. After finishing just 0.125 off of the Guardians in Monday's Prelims, Southwind made the jump into ninth thanks to a substantial advantage in overall general effect. According to tuba player David Kersey, the corps couldn't have had such rapid success without the help of those who came before in them in the previous iterations of the Southwind organization. 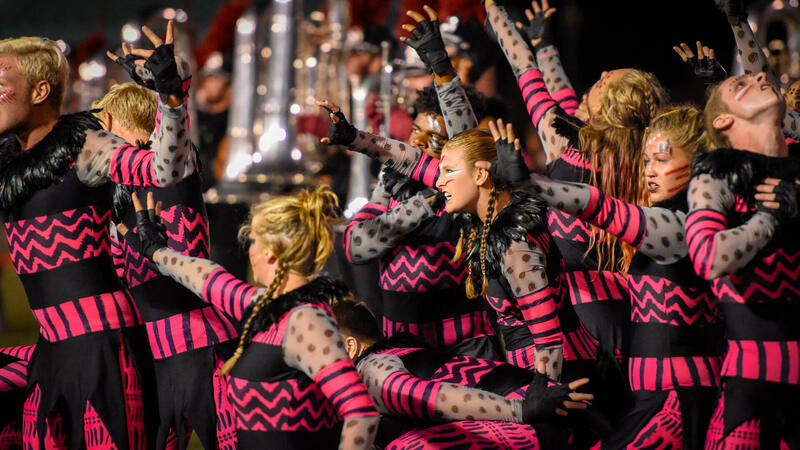 Guardians (10th, 69.737) pushed the limits of their Kanye West-inspired production to the corps' highest finish in just two years of competition at the Open Class Championships. After scoring 11th in 2016, the Houston-based corps improved its tally by more than five points in a year's time. For 11th-place River City Rhythm, 2017 marked a year of improvement as the corps moved up one slot from last year's placement. With a score of 67.688, the Minnesota corps posted strong numbers in percussion, a caption in which it finished eighth. Rounding out the top 12, Raiders — which has never missed an Open Class Finals — earned a score of 64.975, while defeating River City Rhythm in the color guard caption. 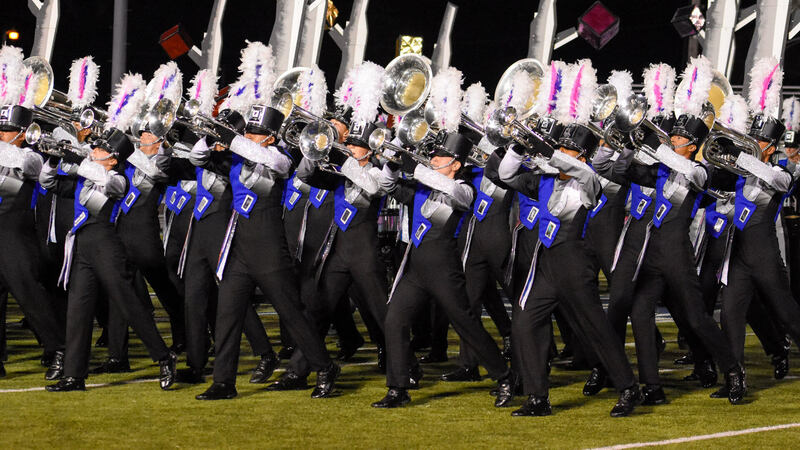 For THE COMPANY — this year's British addition to the World Championships, which has won four Drum Corps Europe titles — earning the title of International Class Champion with a score of 72.325 ahead of their first appearance at Lucas Oil Stadium in Indianapolis was a welcome addition to their growing list of accolades. All 13 finalist corps, as well as four more that competed in Monday's Open Class Prelims event, will be headed to Indianapolis for the pinnacle of the 2017 DCI Tour, the DCI World Championships, which kick off Thursday morning at Lucas Oil Stadium.